Get Started Now Sign up now. Prices start at free. AppHarbor is a fully hosted .NET Platform as a Service. 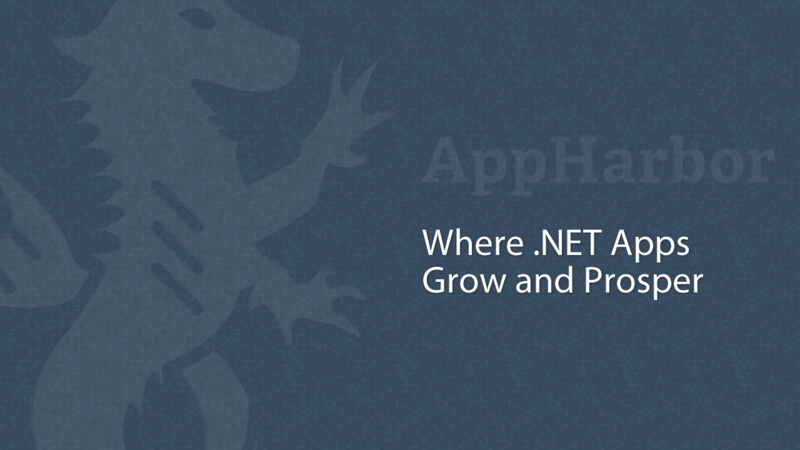 AppHarbor can deploy and scale any standard .NET application to the cloud. AppHarbor is used by thousands of developers and businesses to host anything from personal blogs to high traffic web applications. AppHarbor lets you instantly deploy and scale .NET applications using your favourite versioning tool. Installing add-ons is just as easy. @ferventcoder You're definitely not crazy :D Appreciate your patience and sorry about the inconvenience!